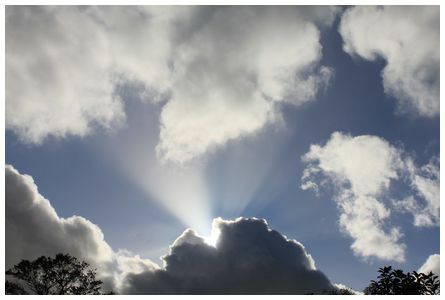 'Hi James, light rays in the Kapiti sky taken at 18:01 on 2 November 2014 with a Canon EOS 500D' wrote Bob. 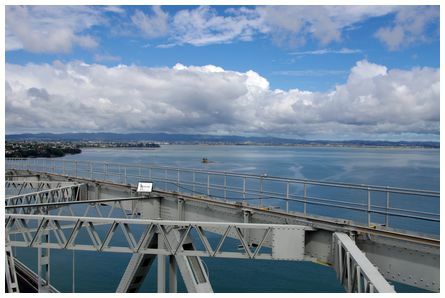 'Photo looking west from top of Auckland harbour bridge. Photo taken using Pentax k5IIs at 11:30 on 5 November 2014' wrote Paul. 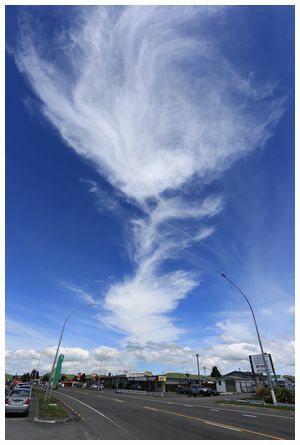 Clouds above Waiouru taken with a Canon EOS 6D and a wide-angled Canon 17-40 mm zoom set on its widest 17 mm setting. 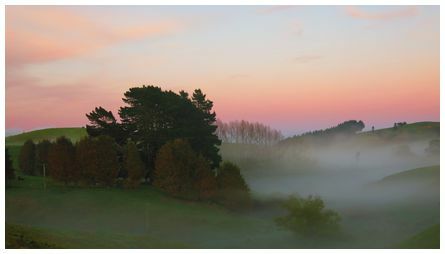 Taken at 12:44 on 27 October 2014 at 39°28'40.15"S, 175°40'06.52"S.
'Fog on Ohope Hill taken at 06:30 on 15 October 2014' wrote David. 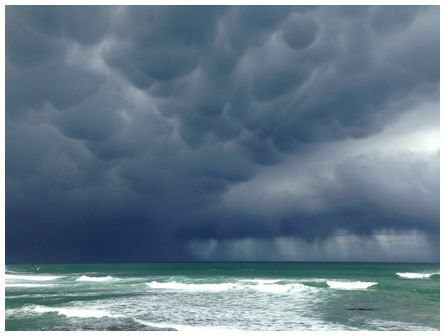 'This was one of those days when I was not sure if I should go out or not looking at the clouds. But the little sheep like clouds looked pretty cool so I decided to go out and saw this amazing sunset. 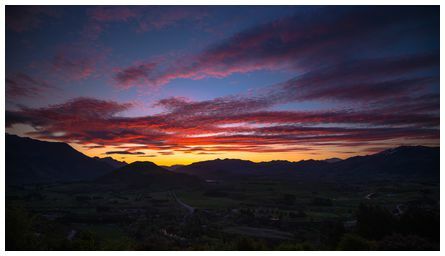 Its shot on the Crown Range lookout looking towards Queenstown with a little bit of the Remarkables Mountain range on the left. Shot with a Nikon D800, this is one shot of a time lapse sequence taken at 20:15 on 22 October 2014' wrote Niels. 'Looking south from Rangiputa Station on Far North Karikari Peninsula as we headed for Puheke Beach. 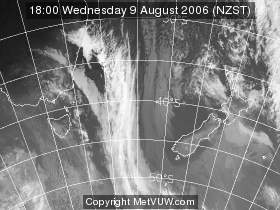 The weather in this area can fluctuate very quickly from clear blue skies to stormy and back to clear blue. 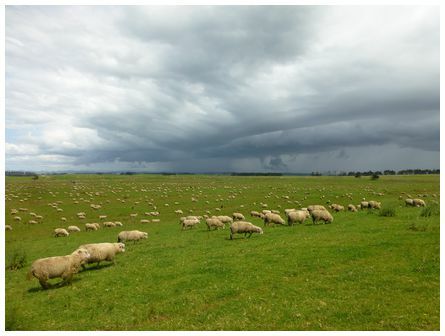 This system was clearly headed for Puheke, but our persistence paid off and we saw it pass just south of us as we walked the beach in sunlight! Taken at 13:30 on Thursday 23 October 2014 with Lumix ZS19 in automatic Sunset mode, ISO 100, F 4.0, 1/800, AWB +1' wrote Chris.